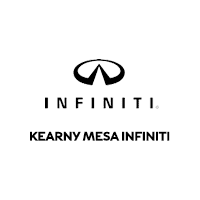 Kearny Mesa INFINITI carries an impressive selection of new INFINITI cars, like the 2019 INFINITI QX50 and pre-owned cars, crossovers, and SUVs in San Diego. No matter what vehicle you might have in mind, we’ve got the perfect fit for you. If you’re looking to lease your next INFINITI, we have you covered. Kearny Mesa INFINITI also has an extensive collection of quality pre-owned and certified pre-owned INFINITI cars too. Whether you’re looking for new or pre-owned, Kearny Mesa INFINITI is your trusted car dealership in San Diego. San Diego, CA INFINITI drivers, we look forward to seeing you soon.